Vox Cantoris: Archbishop Gagnon! Fr. Michael Savarimuthu! Where is your mercy? Archbishop Gagnon! Fr. Michael Savarimuthu! Where is your mercy? As Archbishop Gagnon of Winnipeg, wines and dines with his fellow Canadian bishops at the annual CCCB plenary in Cornwall, a faithful Catholic woman in Brandon, Gwen Gumieny, a longtime parishioner at St. Augustine of Canterbury, sits by slandered by Savarimuthu and betrayed by Gagnon. Christine Niles of ChurchMilitant has the full story. Where is the love of Christ amongst Richard Gagnon and Michael Raj Savarimuthu? "Saint Augustine's is the only English-speaking Roman Catholic Church in my city," she explained. But she's banned because priestie beastie doesn't want to smell or hear from the sheep. The sheep is banned because she talka English!!!! What a VC2 hoot! So much for the vernacular! What is a non-catholic dictator doing in the archdiocese telling a faithful catholic what sacraments she is allowed to receive? Same thing happened in my parish when a parishioner dared start questioning the relationship between pastor and secretary and wrote to the bishop suggesting an audit of the parish. The bishop banned him from the parish. 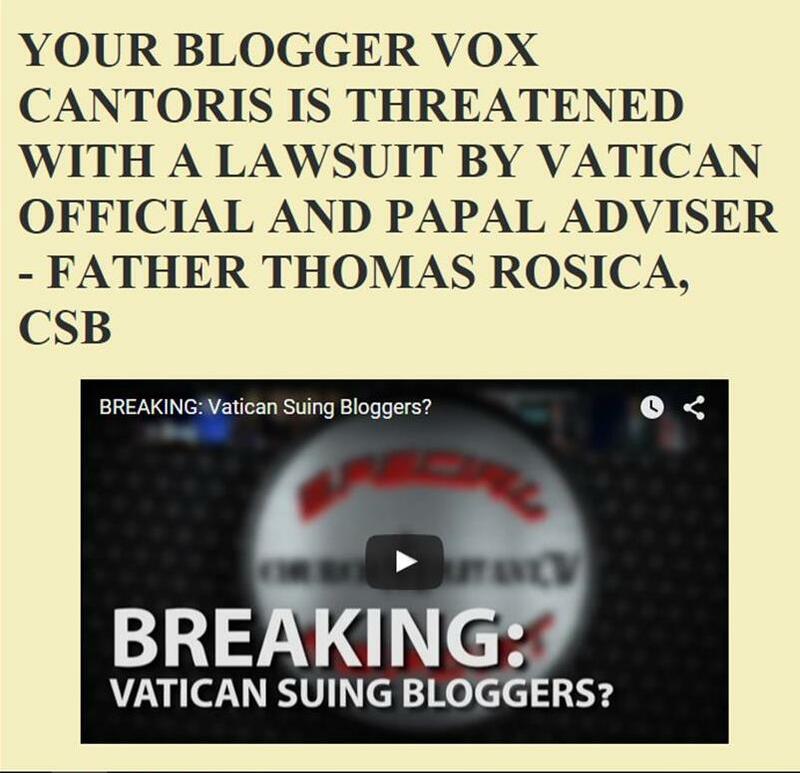 And speaking of banning, according to Michael Matt at The Remnant in his latest video "Resisting Francis", Bergoglio is plotting to do away with the College of Cardinals so he can choose his own successor! I'm not making this up. Matt said they are going to do a series following up on this rumor. Could anyone even have imagined this one?